With all the controversies and scandal surrounding President Trump’s inauguration, fashion was definitely not at the top of things covered by the media that day on January 20th. But if you look closely you can see that there were a lot of statements made with the clothes worn by a few high profile women on this historic day. Conway's self-titled “Trump revolutionary wear” was a head turner for all the wrong reasons. Conway looked like a cowgirl in her red, white and blue dress suit. This woolen Gucci coat-dress, which has panels of white framed by sleeves of blue, and a red collar costs $3,600. She matched that with a red hat, gloves and handbag. Conway told reporters that her outfit was meant to celebrate President Trump’s rise to power, but the design she also stated was inspired by the city of London. 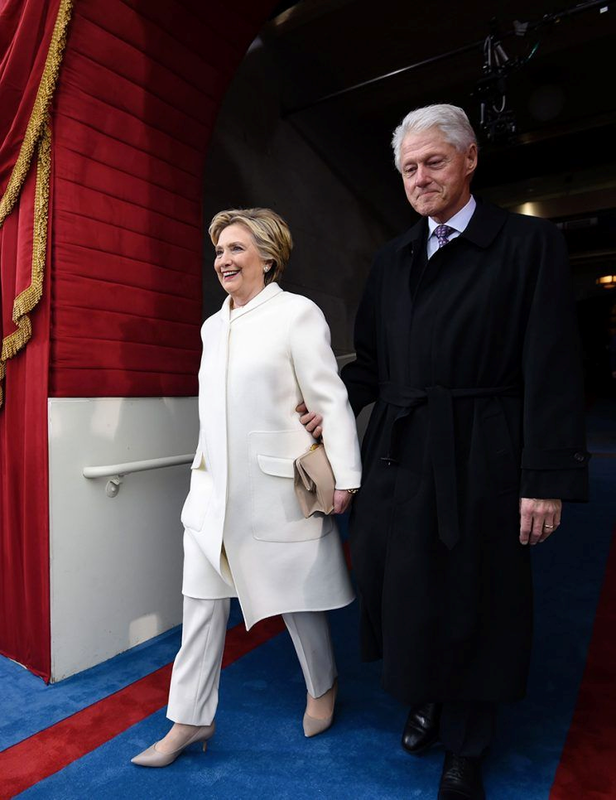 Former Democratic presidential nominee Hillary Clinton attended the inauguration and dawned a white pants suit designed by Ralph Lauren. Her choice of white is probably not coincidental; it was one of the colors worn by the suffragettes in the early 20th century, standing for purity, in an effort to protect them from their opponent’s claiming they were immoral. Clinton never confirmed this to be the reason why she wore white to the inauguration, but she wore a white suit while accepting the Democratic nomination and during the last presidential debate and both times news outlets connected the color to suffragette history. It is expected for first ladies to wear American designers on inauguration day and our new first lady was no exception. She wore a custom powder blue skirt suit by Ralph Lauren. Her classic look was compared to the outfit Jackie Kennedy wore to her husband's inauguration, John F Kennedy, in 1961. Shout-out to Ralph Lauren for dressing two important women on such a public and historic day. Which women do you think wore it best?